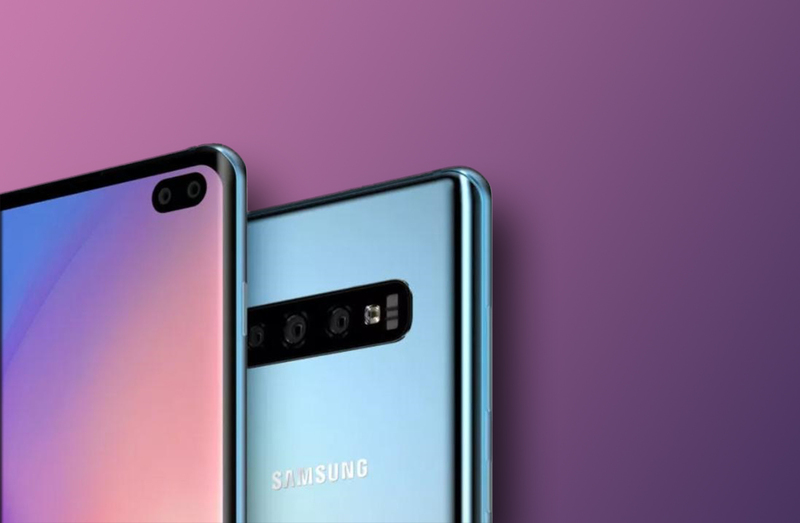 With nearly a week left to go until the unveiling of the 10th anniversary Galaxy S10 series, leaks are intensifying. Nearly everything from the purported design of the handsets to their alleged prices has leaked and now a promotional banner that the South Korean behemoth has apparently prepared for the press event has leaked and it provides a good look at the front of one of the Galaxy S10 Plus, the biggest member of the company’s flagship lineup. The banner provides a terrific front view of what the device will look like so if customers are more enticed by the design of premium handsets, you should take a gander at this. The poster has been leaked by Evan Blass, a known tipster with an impressive track record. It is supposedly advertising the Galaxy S10 Plus and while we have no way of verifying whether it has indeed been made by Samsung, it does look legitimate and in line with the design theme used by the company in the past in its promotional materials. Since the banner shows the Galaxy S10 Plus from the front in all its glory, it appears as if the poster wasn’t meant to be displayed before the release of the device. However, everything that it shows has already been revealed. As numerous reports in the past have alleged already, the poster shows that the Galaxy S10 Plus will have a curved display and very slim bezels on the top and bottom. The display cutout for the front-facing dual selfie camera setup can also be seen at the top right-hand side of the phone. Apart from that, the 3.5mm headphone jack and the speaker are also visible on the bottom edge of the device, though it would have been better if Samsung incorporated two speaker grills instead of one to maximize the audio experience. Although the Galaxy S10 series has leaked heavily in the past few months, we will have to wait and see how many of the rumors were actually true. However, the wait wouldn’t be too long as the lineup will be revealed on February 20 at a dedicated event along with Samsung’s foldable phone and a new smartwatch that would presumably be called the Galaxy Watch Active. Also, if you planned on getting the Galaxy S10 Plus, keep in mind that it will cost you a small fortune.